Will You come today, Counselor, and offer Your teaching about this beginning? 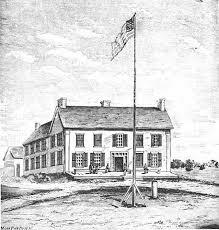 I find that the first territorial legislature was dominated by men from New England or of New England ancestry. http://en.wikipedia.org/wiki/Minnesota It was a legal business meeting first, but what other impacts may have occurred? My first thought, Teacher, is that we carry our personal histories with us into each new venture no matter how tightly we hold our cards. That said, I’m wondering now the impact of these sons of New England on our state. What were their strengths, fears, dreams, or biases? In any case, I commend to you this representative meeting. Christ, our Advocate, how You must smile when we seek to keep faith by simply meeting with each other! May we follow Your example of humble authority in the governance of this state. May these meetings be an eternal ray of blessing from September 3, 1849 forward!